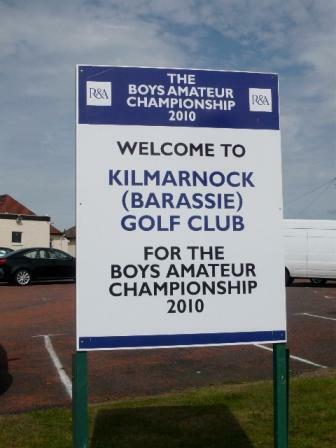 The R&A have rolled into town with two of Scotland's West Coast Links golf courses joint hosting the British Boys Amateur Championships. Practice started on Sunday morning at Barassie and Dundonald with the Strokeplay Qualifying teeing off on Tuesday morning. Visitors are welcomed along to both clubs to watch the proceedings and you can download the full start list for Tuesday and Wednesday play here. The draw will be published on a daily basis on this blog for the Matchplay sections from Thrusday onwards.